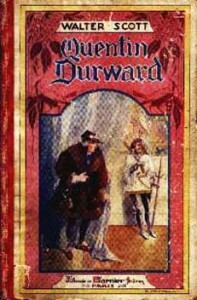 Quentin Durward by Walter Scott. EPUB, PDF, FB2 / В. Скотт. Квентин Дорвард. На английском | Free eLibrary "Original"
In 1465 the Scottish Quentin Durward set of to France, because the Duke of Burgundy wants that countess Isabelle marries with Durward’s uncle. Once there he himself falls in love with Isabelle, no much interested in the quarrel between the Duke and King Louis XI, what was the reason of the marriage proposal.